It’s normal to name children after national heroes, so I guess it’s no surprise that an Egyptian man has named his daughter – Facebook. “Facebook” Jamal Ibrahim is the full name of the girl born last week. 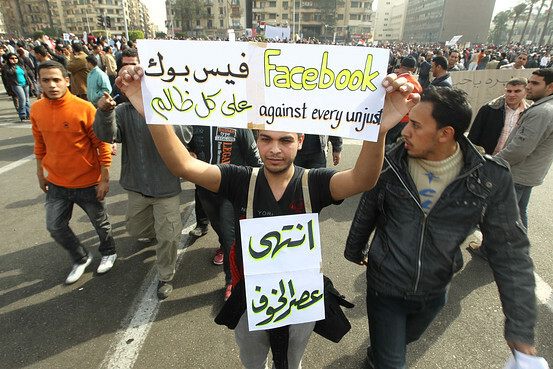 Facebook was the platform on which the revolution of #Jan25 was sparked and organised, and many Egyptians are deeply grateful to the network for enabling them to achieve the overthrow of a government that has seemed irreplaceable for 30 years. The Egyptian government’s attempt to cut the internet off to the whole country for five days only fuelled more angry protests as it seemed like a deprivation of a basic human right.